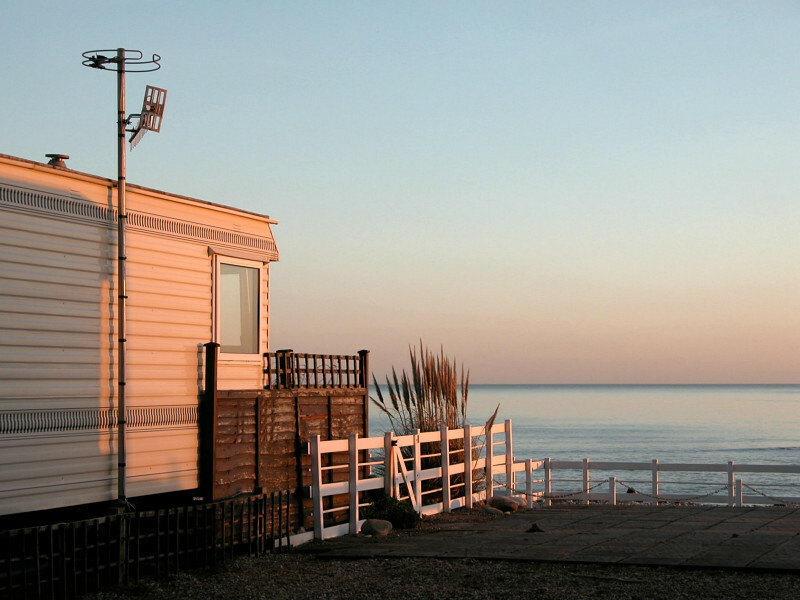 In Lyme, there is a small estate of mobile homes at Monmouth Beach, which to me has a curious charm all of its own. I am intrigued by the contrasts of a wonderful natural setting and suburban accessories (the barbecue, the new car, the big boat, and lots of fences). 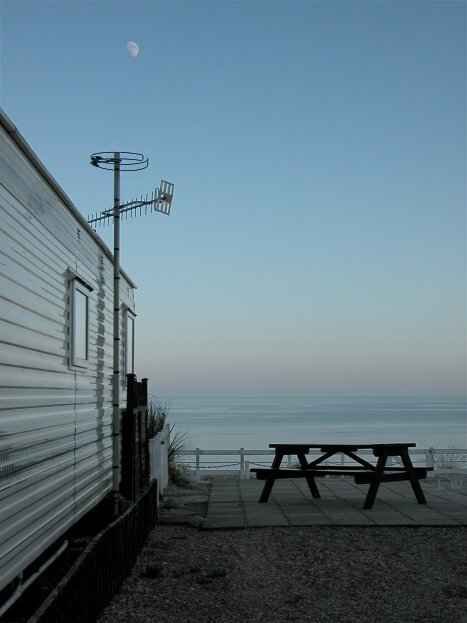 Often, a stroll along the beach of an evening reveals the owners sitting in their lounges watching the TV. Behind net curtains, they are apparently unmoved by the sun going down like thunder.